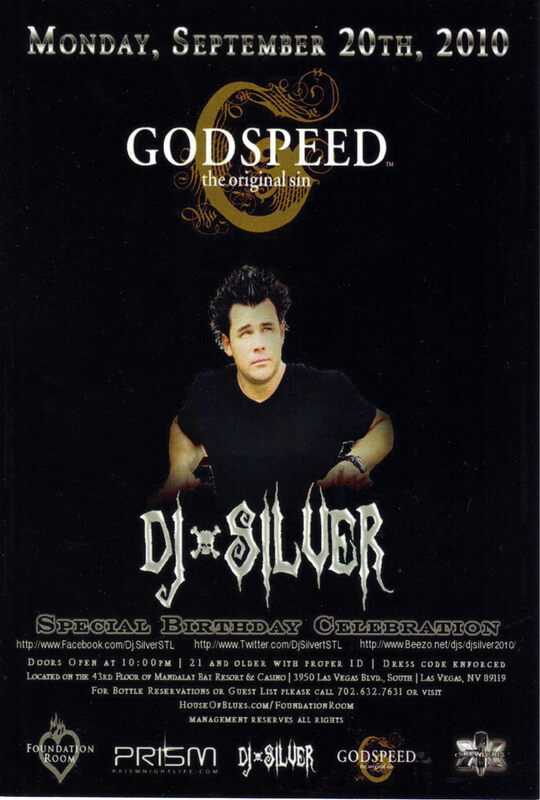 This is the official Ad Card for the Special Birthday Celebration of DJ SILVER presented by GODSPEED, The Original Sin held at The House of Blues Monday, September 20th 2010 inside Mandalay Bay Resort Casino Las Vegas, Nevada. DJ Silver is nationally sponsored by Whiteboy Clothing Co, Los Angeles, Ca. He is a member of the infamous DJ crew, The New York Hitman. DJ Silver is the official DJ for Nelly's Pimpjuice Tour out of St. Louis Mo, Nelly's Sweat Suit US Tour. Card measures 5-3/4" L x 3-7/8" W Mint Condition Front back the same. Send email if you need more details on this card. Buyer is responsible for 1.95 shipping to anywhere in the USA. Please enjoy browsing the store for lots more Las Vegas Collectibles Often. Thank you for stopping by!